We're flexible to accommodate busy families with demanding lifestyles. We'll help you find the ideal nanny. Or you can take charge of the process by searching our exclusive Nanny Directory. Our staff will select candidates matching your needs. We’ll arrange your personal interviews with the candidates of your choice. And we conduct thorough background checks of every nanny. Once you hire your nanny, our team will provide ongoing support. You can easily manage your account online, submit payments via our website and request a replacement nanny in the event of an emergency. We provide a secure, worry-free, complete solution for your childcare needs. Understanding Our Fees: Our account fees offer straightforward pricing for all childcare needs. There are no “Agency Fees” added to your nanny wages or service invoices; instead, open an account and pay as you go or annually. The fee for an Occasional Care Account is $99, which covers unlimited nanny service requests for 30 days. The annual fee for a Frequent Care Account is $475, which covers unlimited nanny service requests for one year. An application fee of $495 begins the Direct Hire process. From occasional care to permanent direct hire, our professional staff is here to help you find your new nanny. 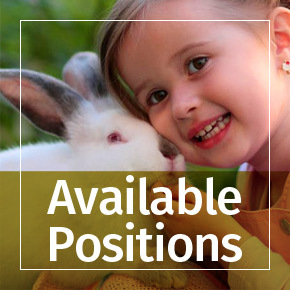 Bookmark and message us with the nannies you want to interview, and we'll take care of scheduling and hiring. Do you have a Family Account? Then you're able to browse nanny profiles in our Nanny Directory. Nanny profiles showcase experience and skills, and offer a glimpse into each nanny's personality. When you find a nanny you'd like to interview, just send the "I'm Interested in This Nanny" form to setup an interview with the candidates of your choice.